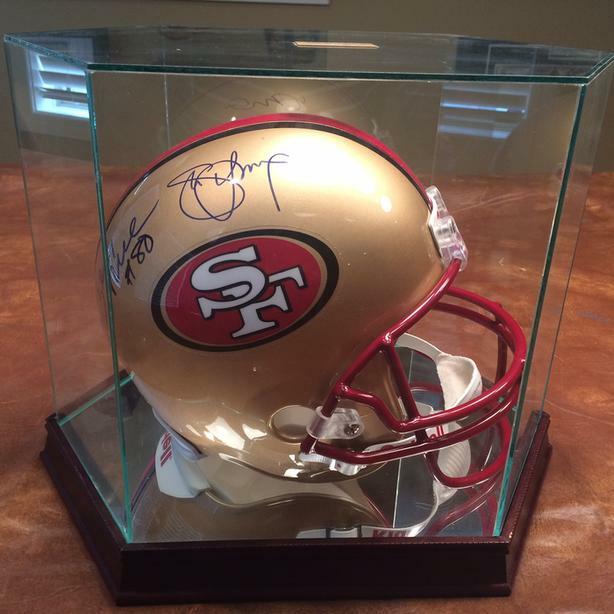 Autographed by three of the San Francisco 49ers greats! Joe Montana, Jerry Rice and Steve Young. A very unique item. This includes a glass display case. Purchased from a reputable dealer in the U.S. Certificate of authenticity will be provided.